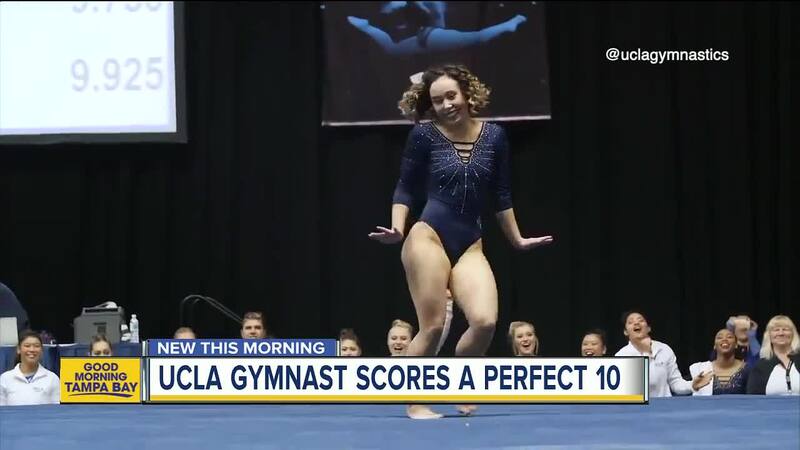 Not only did Ohashi stun the audience with her amazing athleticism, but she also wowed judges enough to earn a perfect 10 for her routine Saturday at Under Armor's 2019 Collegiate Challenge . Ohashi, according to UCLA , is the reigning NCAA co-champion in floor exercises. She was also a 2018 NCAA team champion. Before UCLA, Ohashi was competing at the elite level of gymnastics until she injured her back and shoulder, according to The Players' Tribune . She decided to compete on the college level because of her injuries.